My old car collection is varied, mostly because I enjoy the different driving experiences of the different cars. I have a 1969 427 Convertible C3 which I bought about a year ago. I love the car and I'm enjoying it. I have a 1970 Mustang Boss 302...totally different driving experience. I have a 1959 Alfa Romeo Giulietta Spider...again, a totally different driving experience. I'm thinking of adding a C2 small block convertible to the collection. My question is, how different of a driving experience will I realize between a C3 Big Block Convertible and a C2 Small Block Convertible??? Does anyone here own both? If so would you be willing to discuss your experience? I guess I do not want to buy the C2 and say WOW this is not all that different than my C3. I don't own both, or either right now, but I've driven enough of them that I can make an observation. Other than 63-64's having drum brakes, 63-82's are all pretty much the same mechanically. Stopping, steering, and cornering are going to be very similar. The biggest difference handling wise, is mainly the result of the wider tires that the 68 up's came with. The newer cars are a little bigger inside and out, the seats and seating position is a little better in the newer cars too. Being convertibles, they both probably exhibit similar amounts of flexing and cowl shake. Finally, the big block delivers performance through torque and brute force, while a small block delivers it through RPM. BS ! I owned a 66 427 vert with power nothing, and a new 82 at the same time . other than the same name and 2 doors they had Nothing in common. Well a '66 427 with zero options is about as dissimilar to an '82 crossfire car as two Corvettes can be. I guess that comparison would make them feel quite different. I have owned many C2's and C3's and found a small block 4 speed with PS & PB drives very similar in both body styles. I've owned a '69 427 convertible since 1989. I love the car. When I was younger, I spent hours and hours driving that thing. It is a bit cramped, rough riding, full of rattles, and warm in the interior. But, it is also powerful, quick, beautiful and tons of fun. However, I have also owned and currently own C2 327 and 427 cars. Without a doubt, my favorite cars to drive regularly are the L79 '66 and '67 convertibles. There is more room in the interior, they perform very well, run cooler, ride very nice. For me the seating, instrumentation and shift lever is much better positioned. It's weird, the cars are similar in a lot of ways but whenever I drive my L79 car, it reminds me why I like driving it the most. Buy one. You won't regret it. Last edited by KingRat; 05-22-2018 at 02:46 PM. I think the 82 was nothing like the earlier C3's since it was the last step in the evolution of the C3's and was hobbled by emissions restrictions performance wise but had more comfort amenities. Based on that impression I dont think that year is a fair comparison to a C2. On the STREET, my 69 L-88 was a pig!!! Totally unsuited for the street. At about 2000 miles it dropped a (stellite) valve seat which was chewed up by the piston and back into the intake, then into the opposite cylinder where it trashed another piston (and both heads!!!). It came with no fan shroud (for racetrack usage) and so overheated on he way home. Had to return to get a fan shroud installed to get home. The engine was assembled with NO valve SEALS!!! It sucked a quart of oil in hundreds of miles (not thousands). Anyone could beat me on the street unless I had just changed spark plugs, because they were ALWAYS oil fouled! It plowed like a pig on the street. With stock tires it was dangerous to drive in the rain. I personally always thought the view from the driver's seat resembled the view from a "pillbox"...very restricted. On the TRACK (with RACING tires), my 69 L-88 was "competitive".............until something broke. And "something ALWAYS broke!!! 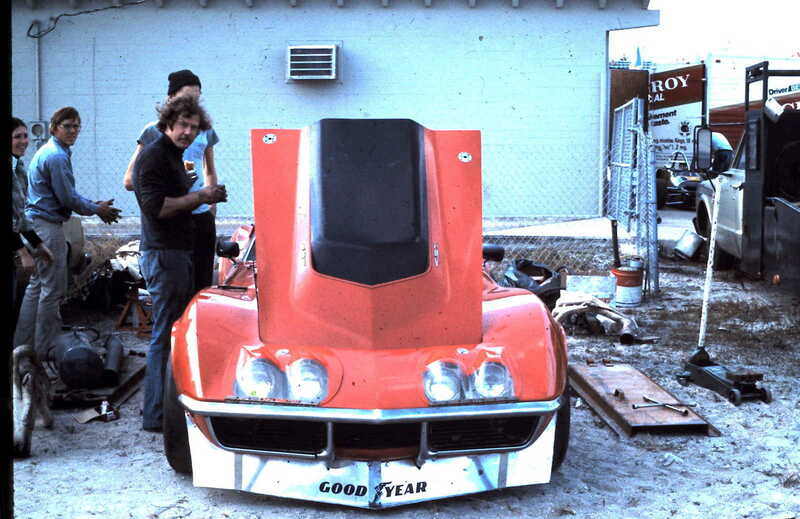 For the first few years (since I lacked the funds for "development" the car itself was competitive in speed, and I was able to win an IMSA race and place favorably in others. With RACE tires though, a MAJOR deficiency was lack of a dry sump, because oil starvation under load led to engine failure....often. Altogether, the 69 L-88 was wonderfully rewarding on those few occasions when nothing went wrong, but a disappointing failure as a race car (for me). On the TRACK: My 63 Z06 is a wonderful car to drive.....but on the original BRAKES, a terrifying car to STOP!!! After a couple of years of believing EVERY TIME I used the brakes, that I would DIE, I changed to the stock Delco disc brakes, which are now legal for ALL C2 vintage race Corvettes. It has required some "upgrades over the years, as Vintage RACE cars got faster! I have a race radiator and oil cooler, of course, to cool my (legal) RACE engine (.030 over 327). My car is "period prepared". It weighs 3015lbs (on a legal limit of 2750 lbs) with a roll bar and fuel cell. It still has full interior, clock, radio and heater. I run 3 degrees of negative camber to get the front end to stick (with legal threaded RACE tires), and I have gotten it to handle very neutrally for my style of driving. I run "very stiff legal springs, bars and shocks", along with stock suspension arms etc. My car is competitive, but not considered "fast". REALLY competitive, and winning Group 6 cars, like Mike Donohue's 63 roadster are light years better and more expertly prepared, and of course, much faster. It is worth remembering that Cobras were always faster than Corvettes back in the day, mostly because they weigh only 2000 lbs, and have comparable horsepower of about 385, so they have a considerable hp/weight advantage. 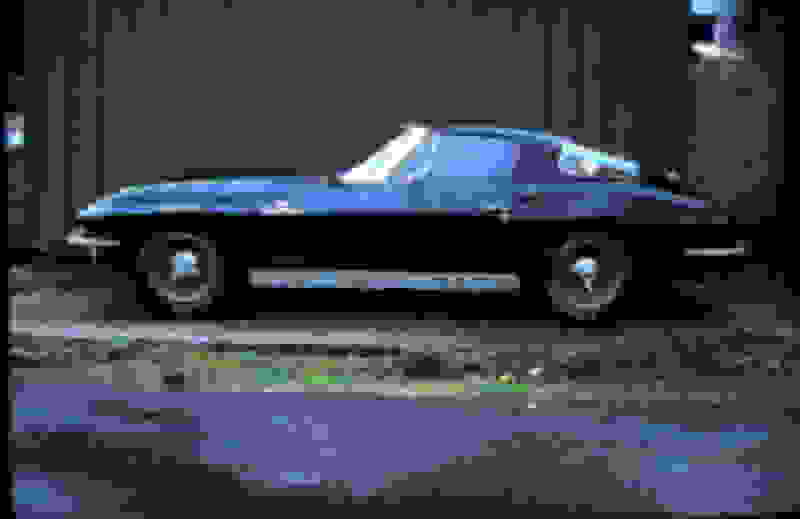 Now MODERN 289 Cobras are in another league from even modern Corvettes. 289 engines prepared to modern standards put out 500 horsepower at 9000rpm. (For comparison, BOSS 302s produce 600HP). Reliability is...um, "fair" (for a racecar) Consumables include, but are not limited to: engine, transmission, tires, pads, fuel cell, clutch, fluids, etc. I drive VERY conservatively in order to (hopefully) minimize or eliminate body damage from my budget. Results? I've won a few, but then again, too few to mention. Fun. I've had a bunch!!! I race "socially" and thus I have been exposed to, and made acquaintance with, a very wide variety of fantastic people, many of whom I now treasure as friends (Tony Parella, Steve and Debbie Earle, that includes you). Conclusions: For ME, my 1963 Z06 Corvette has been with me longer, has been far more rewarding, and has been altogether a "better experience", than my 1969 L-88 Corvette. I think it is "prettier" too. The hood open pic is AWESOME 63Corvette. What year was that taken? Which of those badasses is you? The ride and handling are similar. The 63/64 brakes sucked. Sitting in them they feel like very different cars. The Coke bottle shape of the C3 makes them a little tighter inside. The windshield, dash, and seats all make the C3 feel like a different car inside. If you compare small block to small block, manual to manual, etc.., they drive very similar. My take anyway. I guess I should clarify a couple things. My 1969 C3 is a 427 BB Convertible with Air, PS & PB. So, the rear end is the "only-offered-with-air" 3.08. Not a beast at all! It's a cruiser. The Boss 302 is a beast as it's a W-Code car (4.30 rear end) and one of the 230 cars that have a factory Detroit Locker and no power steering. The C2 I would search for would be a Convertible, 4-Speed and either 327-300HP or 327-350HP. Probably a low option car as I'm not looking to spend a $h1t ton of money and I don't want another BB car. Not sure if that helps with the comparison. owned a 68 and 81.
way different feel between the 2.
even cars the same year with the same options will have different feel. My '69 427 is heavier, thirstier, hotter and more cramped in the interior. The seating is laid back and you have to move forward a bit with your hand to grab the shift lever. My '67 L79 convertible has a better seating position and the shift lever falls right into my hand. It is lighter, and with the L79, it has plenty of power. If you can test drive one, do so. I know this is a repeat of my earlier post, but I am telling you there is enough of a difference between the two to make a different driving experience. Last edited by KingRat; 05-22-2018 at 03:42 PM. The frame, suspension, and steering systems are essentially the same between the C2 and C3. The main differences are interior and exterior styling and ergonomics. Most C2 folks think the C2 has better styling than the C3....and vice versa. They are both beautifully designed vehicles; and if you have the money to do it, you should have one of each: SB C2 (fuelie if you can afford it) and BB C3 would be ideal, IMO. May be off topic, but how does that Boss Mustang ride and drive......I would love to have a second car, and that is one of my favorites. I can only speak about mine which is all original and unrestored with just 40,000 miles. Remember mine is a bit unique with the factory 4.30 Detroit Locker rear end. It hooks up and launches really well. It's great in the corners too. Last edited by vespaholic; 05-22-2018 at 10:55 PM. I guess what I will do is drive C2 and see for myself. I'll only be looking at 1965-1967 small block, 4-Speed cars. There's one near me for sale, vey low options; no PS or PB.